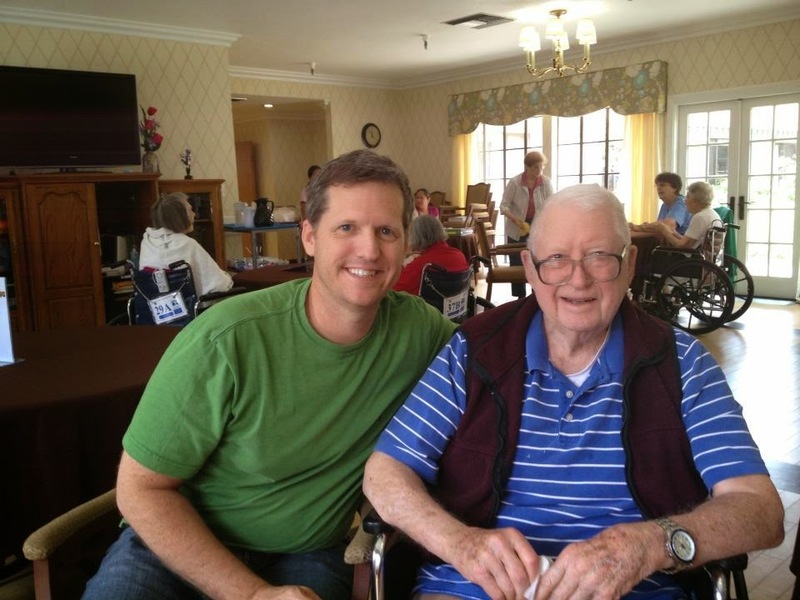 Today marks one year since my father passed away at age 99. He was born in 1914 and witnessed many changes in the world (he was born only 11 years after the Wright Brothers flew at Kitty Hawk). He served in WWII. He remembered so many changes in technology and how we communicate, that new advancements never surprised him. I am not yet the age that he was when I was born (he was 52 when I came along). That minor mathematical statistic brings with it some interesting perspective, as he lived a whole life before I arrived, and yet remained active up until his late 90s. It reminds me that I have so much to experience still to come. Hopefully my future has a long run ahead, and I strive to be like him in many ways. He was a great dad. My brothers and I not only love him, but we liked him, too. He was patient, supportive, understanding, steady, and encouraged us to become our own men. The thing I most remember him teaching me was to "be slow to anger and fast to forgive". I have found that very few people have received that advice. Too bad. One year is a milestone. This is a sad one. But I smile when I look at my family and the legacy my parents left behind.